Allysson was born and grew up in Brazil. In Rio de Janeiro he found his passion for House Music, tribal beats with Brazilian touch. With 21 years he moved to Europe, fell in love immediately with Barcelona, and decided to make his passion for music to his profession. He played in several clubs in Barcelona and discovered the international clubbing scene. 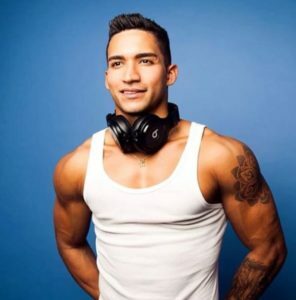 As he moved to Zurich in 2017 he is very happy that he became Resident DJ at Angels Events in Zurich and looking forward to put a spell on his crowd with his energetic tribal beats.